When looking for work in Austria, experience and skills are the main qualifiers to get a job. However, expats aspiring to relocate to Austria should be prepared for the paperwork and patience needed, as the job market is very competitive. Austria boasts a well-developed economy and high standard of living which make it an attractive destination for working expats. In 2016, it ranked as the 16th richest country in the world with a total Gross Domestic Product per capita of USD 46,906 or £32,215. Austria’s membership in the European Union also brought significant changes to the economy that attracted a multitude of foreign investors which resulted to abundant job opportunities for locals and expats alike. Work can easily be found in Austria's tourism industry. Being famous for its ski-resorts, the job market for this sector can be found outside the big cities. Most employment is contractual and for a limited time. Ski-resorts have a high demand for labour in winter and expats with excellent language skills are welcome. Most tourists visit Tyrol, Salzburg, Styria and Vienna. Most companies post their job vacancies with the Austrian employment service (AMS) or Arbeitsmarktservice. Expats that are officially unemployed can register and submit their resume in the AMS system. The traditional way of job hunting using classified ads is still widely practiced in Austria. The most popular newspapers are Der Standard, Die Presse, Kleine Zeitung and Kurier. You can also check their respective websites as some job ads are not listed in print but can be found online. Expats make up around 15% of the population of 8.5 million people in Austria. Most Austrian job-sites are in German so learning a little German can be to your advantage, as the majority of residents in Austria speak German. Expats should note, however, that English is the preferred language in the Austrian corporate world, where the employment rate is 72%. It is said that having good connections in Austria is the most effective tool for finding a job. Getting a job in a company because you know someone is considered the norm. Also, Austrian employers trust their friends, so if a friend refers you, you will most likely get the job. To begin, you can opt for a temporary job at a lower level (clerical, construction, etc.) in order to get a permanent position (provided you perform well on the job). Austria offers a vast number of Austrian job agencies that offer temporary work. Austria has no statutory minimum wage by law. Collective bargaining agreements set the minimum wages classified by jobs per industry/sector. It is said that the accepted unofficial minimum wage is €12,000 to €14,000 yearly. 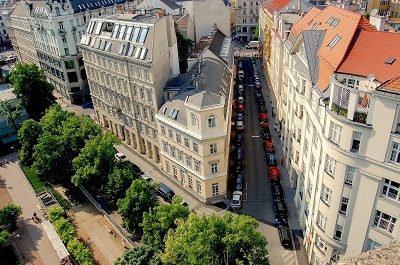 Expats who wish to work in Austria will find that the average monthly salary earned is €3,625. It is standard to work eight hours a day in Austria. Weekly, the maximum is 40 hours. Extra hours worked will be paid as overtime. It is not uncommon for Austrian nationals to come to work an hour early.